Pumpkin Pie is Great with Tea! Tea makes an easy and wonderful accompaniment to your pumpkin pie at Thanksgiving. It will help you digest everything you ate for the day and compliment one of the best courses. 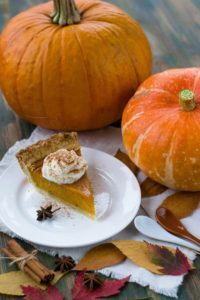 Below we highlight 3 teas to pair with pumpkin pie and even suggest a few for apple or cherry pie. Don’t worry, we have even put in a caffeine free option. Jasmine green tea is a unique and amazing pairing with pumpkin pie. The floral notes of the tea blend with the sweetness and spicing of pumpkin pie. They compliment each other nicely. Cherry and Apple pie also go nicely with this tea. Lapsang Souchong is another unique tea that pairs well with pumpkin pie. The smokiness of the tea tones down the sweetness of the pie while not overpowering the spiciness. The bold flavors and mouth feel of Pumpkin pie is what makes this a nice pairing. Other fruit pies maybe overpowered by this tea. If you are not feeling adventurous, Nilgiri tea makes a perfect companion since it is both floral yet strong enough to hold its flavor with pumpkin pie. This beautiful black tea from southern India allows you to serve something unique without straying too far out of guests comfort zones. Ginger Honeybush when drunk with Pumpkin pie creates a lemon citrus flavor when combined in your mouth that is also smooth. 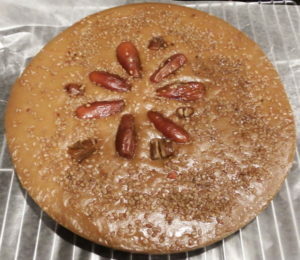 This surprising combination adds an unexpected twist to the Pumpkin pie that is refreshing. If this is too adventurous, Rooibos is just fine. Don’t forget you can pair tea with other courses on your Thanksgiving menu. The idea is that the tea and food item compliment each other without having one flavor over power the other. You can find some ideas in our post on 3 unusual tea and food pairings. 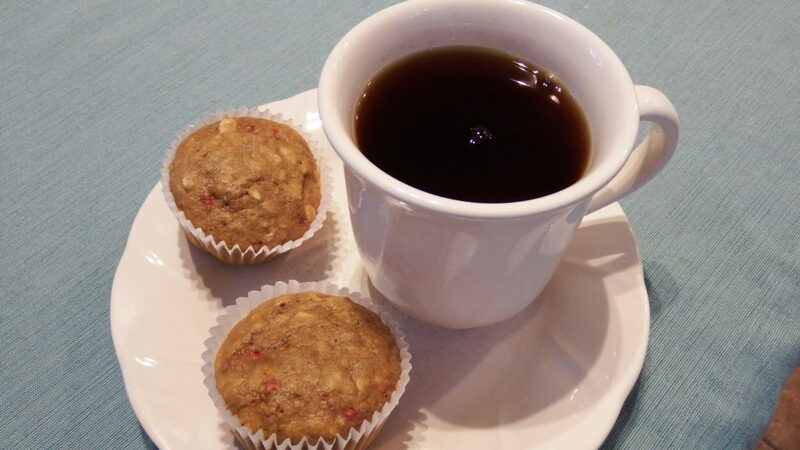 Irish Breakfast raspberry muffins are easy to make and a fun change to the usual morning meal. We used raspberries in this recipe because we happen to have a lot in the house currently, but you can incorporate any summer fruit or berry, just cut it into small pieces. Preheat your oven to 350°F. Line your muffin pan with muffin liners or spray with oil so you can easily remove the muffins after baking. Put the milk in a pan on the stove top with the tea and bring the milk up to just a simmer. You are looking for steam and small bubbles around the edges. Stir the tea leaves into the milk and periodically stir to make sure the milk does not burn to the bottom of the pan. This will only take about 5-7 minutes. Remove the milk from the heat and allow to sit with the tea still in it for at least 10 minutes. While the tea is steeping, mix together in a bowl the flour, oats, salt, baking soda, baking powder, nutmeg, and cinnamon. Cut the raspberries in half and mix them into the dry ingredients. You want them coated in flour. Do not skip cutting down whatever fruit you chose to use, if the fruit pieces are bigger than 1/3 of an inch you will likely have problems with big holes and your muffins falling apart as the fruit shrinks in cooking. Mix in a separate bowl the oil, agave nectar, vanilla extract, and eggs. Strain the milk to remove the tea leaves and once cool mix into the liquids in step 4. The milk is cool enough if you can comfortably put your finger in it. Add the liquid ingredients into the dry and mix until everything is incorporated and there are no dry ingredients. Fill the muffin tin to about 2/3 of the way up the sides and bake for 14-16 minutes. Test with a toothpick (which should come out clean) before removing. Makes 12 regular sized muffins. **If you want an even more intense tea taste, replace a tablespoon of the flour with a tablespoon of tea leaves. Crush the tea leaves into a powder using a spice grinder or mortar and pestle. Rose Tea Cupcakes are a unique treat for your tea loving Valentine. These cupcakes can be made in advance and keep well in the refrigerator for about 5 days, if they last that long. While this cupcake recipe uses The Rose Garden tea, it can be made with your favor tea. The trick is to infuse both the butter and milk before making the cupcakes, which we will outline below. We have made tea infused butter before. 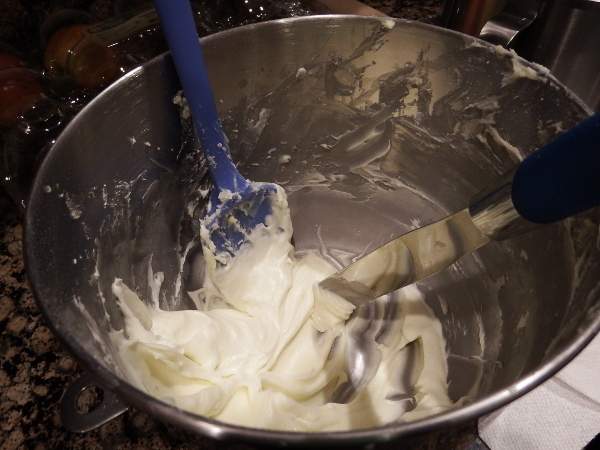 For the cupcakes and icing, you will make 2 separate batches of infused butter. With each one you will need 1 stick of butter and 3 grams of tea (or a rounded tablespoon). 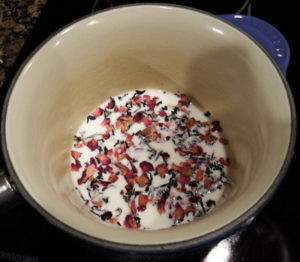 For the cupcake batter, melt one stick of butter with 1 rounded tablespoon of The Rose Garden Tea. This should be done on the cook top and not in the microwave. Put both the tea and butter into the pot. Once the butter melts completely, remove from the burner and allow the tea to steep for another 10 minutes. Strain off the tea and allow the butter to cool. Feel free to use a spoon to press on the tea to squeeze out the butter that it absorbed. Make sure the butter is solid before adding it to the recipe for the cupcake. It will return to a solid state much faster if you put it in the refrigerator. I found it is easier to make the butter a day or two before the cupcakes so I am not tempted to use the liquid butter. Repeat the same steps as above for the butter for the Jasmine icing. Just use a rounded tablespoon of Jasmine Green tea instead of the The Rose Garden tea. This butter also needs to be solid, but at room temperature for the icing to work correctly. Just like the butter, we are going to heat the amount of milk shown above with a rounded tablespoon of the associated tea on the stove top. Do not walk away from the milk as it is heating as you do not want it to come to a boil. You are looking for steam to rise and a few small bubbles along the edges of the milk and you should start to smell the tea. Feel free to stir and make sure the tea leaves don’t just float on the top. As soon as the steam remains as you stir, pull the milk off the burner and allow the tea to steep in the milk for 10 minutes before straining. Again, feel free to use a spoon to press the tea against the strainer to squeeze out the milk it absorbed. The 1/2 cup of milk for the cupcakes will become roughly a 1/3 cup and the 1/3 cup for the icing will become a 1/4 cup. This is fine. Make sure the milk cools to at least room temperature before using in the recipe. It is fine to make this a day or two before making the ice cream, just store in a container with a tight fitting lid in the refrigerator. Make sure you have made the tea infused butter and milk and they have cooled before doing anything else. Preheat the oven to 325°F and line your cupcake/muffin tray with paper liners for the cupcakes. Using an electric stand mixer, beat together the The Rose Garden tea infused butter with the sugar. It should be mixed until lite and fluffy, about 5 minutes. You should stop the mixer a few times during the process and scrap down the sides and bottom to make sure everything is mixed evenly. In a separate bowl, mix together the flour, salt and baking powder. On low, adding 1 egg at a time, mix in the eggs with the sugar and butter. Once all 3 eggs are mixed in, add the flour mixture and milk to the bowl, alternating about 1/3 of each at the time. Make sure each time that the ingredients are fully incorporated. Once down, take a look at the batter and pinch out a small amount. 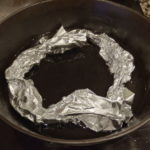 If is really shiny and feels oily, you will need to incorporate more flour. Using 1/2 tablespoon at a time, mix in the flour until the batter is shiny but doesn’t feel oily. 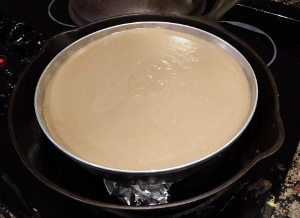 Put the batter into the paper liners, filling them about 2/3 of the way full. Put them in the oven for 25 minutes. A tooth pick should pull out clean. Do not over cook. These cup cakes will be pale yellow to white in color, you do not want brown edges. Pull out the cupcakes and allow them to cool in the tin for 5 minutes before removing them from the tin and placing them on the cooling rack to come to room temperature. Once the cupcakes are at room temperature, you may ice them. Put the cream cheese and Jasmine Green Tea Infused butter into an electric mixer and blend until fully incorporated, about 5 minutes. Then mix in 1 1/2 cups of the confectioners sugar until fully incorporated. Next add the Jasmine Green Tea Infused milk Mix until combined, it will look runny. Last mix in the remaining 1 1/2 cup of the confectioners sugar. The icing should look thick and fluffy. It is a heavy frosting because of the cream cheese. 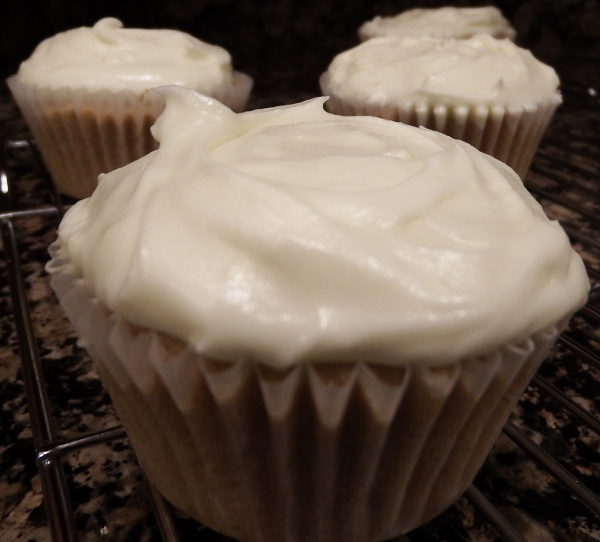 Using an icing knife or a butter knife, apply the icing to the cooled cupcakes in a circular motion. Scoop out about 1 1/2 tablespoons of icing at a time to apply. If you icing starts to run on the top of the cupcake you did not let them cool enough. You can package up the icing and put it in the refrigerator and apply it within 2 days of making the cupcakes. It will start to get to hard after that ice cleanly for you. Matcha Peanut Butter Fudge is a fun addition to the holiday cookie tray or jar. Not only is it a beautiful green color, the sugar, peanut butter and matcha combine to create a luscious flavor worthy of any holiday treat. This is a child friendly recipe that they can help make, except for the step of taking the bowl into and out of the microwave. We have made substitution notes below for those with peanut allergies. We will admit this is technically not fudge, because there is no chocolate in it. However, this is a fudge like candy. You can drizzle chocolate over the top once it has cooled if you need to have chocolate for you to be comfortable calling this a fudge. This recipe will produce about a 3/4 inch thick pieces of fudge. If you want thicker, double the recipe, just make sure you have a bowl big enough to handle it melting and bubbling the microwave. Substitutions – The peanut butter can be substituted with another nut butter like Almond, Cashew or Coconut Butter. The butter can be substituted with 1/2 cup of coconut cream and 1/2 cup of coconut oil. Follow the same steps below. 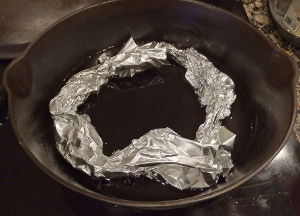 Prepare your baking dish by cutting a piece of parchment paper and putting it in the dish. You will want excess paper hanging over so you can fold it over the fudge before putting it in the refrigerator. Measure out the confectioners sugar and matcha and sift it to remove all lumps. If you choose not to sift you will find that you have lumps of sugar you will need to press out when you stir the fudge, which can be annoying. Put the butter and peanut butter into a microwave proof bowl and stretch the plastic wrap over the top. Microwave for 2 minutes and take out and stir. Put back on the plastic wrap and put back in the microwave for another 2 minutes. Then remove. It should be bubbly and very liquid like. It may darken in color, which is perfect. Stir in the sugar and matcha in batches, roughly pouring in the sugar about a third of the time. 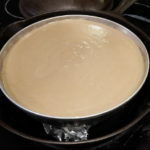 The mixture should start to get thick and stiff making it a little tricky to stir. 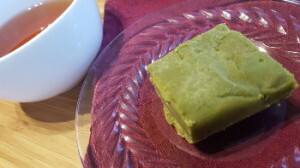 You want to make sure you distribute the matcha so keep stirring and remove any green streaks. Spread the mixture into your prepared pan and fold the excess parchment over the top so it covers the surface of the fudge. 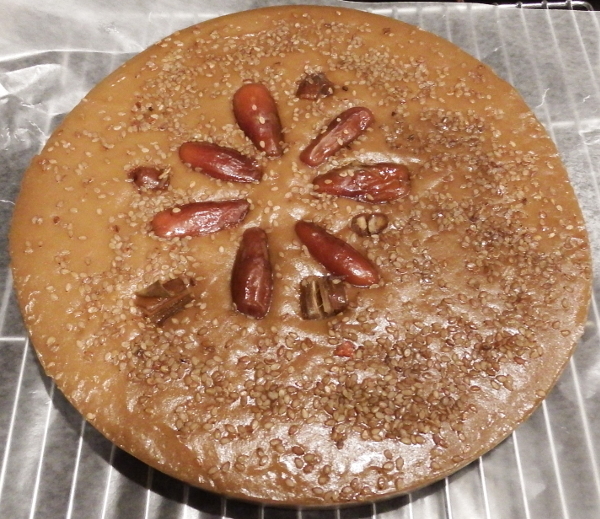 Put in the refrigerator to cool, which will take about 2 hours. Once it cools, you can add that chocolate drizzle by melting chocolate chips and pouring them over the top of the cooled fudge and letting it sit until the chocolate hardens. Pull the fudge out of the pan by pulling up on the excess parchment paper and cut the fudge into 1 inch pieces. It will store for about a week, if it even lasts that long, in an air tight container in the refrigerator. It will darken as the matcha oxidizes, so don’t worry but if you want to keep the bright green color, serve within a couple of days.